We do not currently have any original artwork available. To view more work by the artist, visit Doucet's website. Drawn & Quarterly 2000 Calendar cover painting, 1999. A gorgeous, highly detailed painting. Gouache on heavy illustration board, 10 x 10." 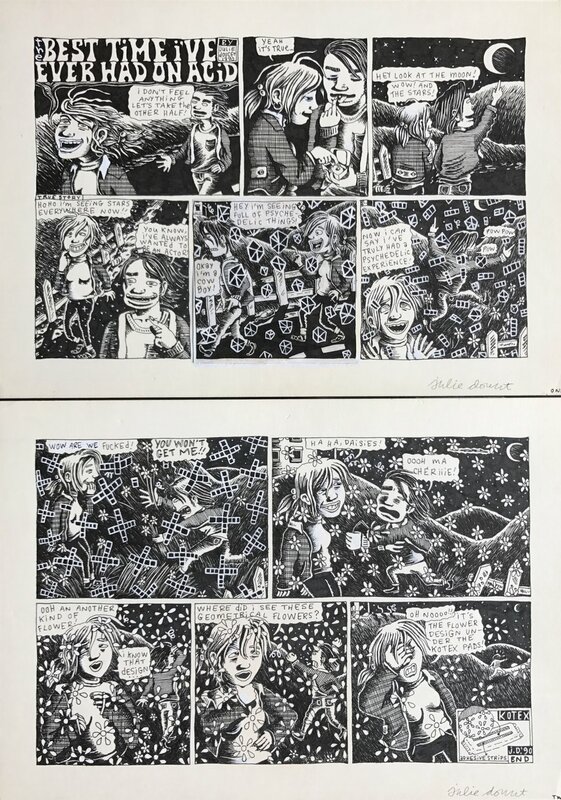 "The Best Time I’ve Ever Had on Acid," complete 2-page horizontal format story, 1990, Dirty Plotte #4. An incredible example of the autobiographical work that brought the artist huge initial acclaim. Ink on Bristol board, each page 7.75 x 11."